In 1975, a researcher named Steven Sasson, working in a lab at Eastman Kodak, built the first digital camera. It was a clunky machine, but Sasson’s vision was clear. He saw the potential: in fifteen to twenty years, he told executives, the technology would be ready to compete against film. You could hardly blame executives for their skepticism, though: the contraption needed a tape drive to operate and took nearly thirty seconds to produce a tiny, low-resolution, black-and-white image. Still, Sasson and Kodak kept at it. Indeed, by 1989, they had created a commercially viable digital camera. But Kodak executives never got behind it. In the years that followed, digital photography blossomed, but Kodak did not—or could not— respond. Digital camera sales overtook film cameras by 2004. Kodak declared bankruptcy in 2012. It’s easy to see this story as a failure to innovate, and, of course, that’s true in part. The lessons of The Innovator’s Dilemma are obvious in this story: business leaders often miss the threat posed by disruptive technology until it’s too late. It would be a mistake, though, to think this story is only about innovation. It’s about much more than that. We all now recognize that digital technology in its many forms is disrupting traditional businesses. Now we have to ask, What are we, as leaders, going to do about that problem? In other words, we sense the threat. Now we face a new question: How should we respond? Borders, the bookstore chain, certainly sensed the threat. By 2006, Amazon.com had overtaken Borders in sales. The large bricks- and-mortar retailer was struggling to respond. Borders was facing a handful of problems. Its superstore strategy, which offered an unrivaled selection of books and music to customers in the 1990s, was no longer enough to keep it ahead of its competitors: internet-based retailers could offer literally every book in print in the world, with- out having to support giant stores. If in-store selection was formerly its competitive advantage, that was no longer working. Borders would have to find something else. Perhaps it could compensate by building a robust online business? Yet its response to the threat of Internet retailing seems, in retrospect, an obviously doomed strategy. From 2001 to 2008, Borders outsourced its Internet business to Amazon. Increasing the pressure, Amazon released its first Kindle e-reader in November 2007. The device, which was a hit from the day it was launched, opened a new front in the war on physical bookstores. Now it wasn’t simply a battle between physical retail and e-commerce. Now consumers could download ebooks directly to their handheld devices. Two years later, Apple launched the iPad along with its own digital bookstore. In 2010, Barnes & Noble followed with NOOK, a product it had developed. Later that year, Borders announced a partnership with Kobo, a Canadian startup that had recently entered the e-reader space. But it was too little, too late. In 2011, Borders announced it was closing up shop for good. Borders, it seems, didn’t deny it had to respond to the digital threat. Unlike Kodak, it did respond. But Borders was never able to embrace and integrate digital capabilities and the operating methods that go with them. In other words, it just picked the wrong response. Only the most stubborn leader would dismiss the threat posed by digital technology. Indeed, we take it as a truism that digital technology is here to stay. It has (for better and for worse) reshaped our world, and the world in which we do business. It has put mighty incumbents out of business and has created a generation of newly mighty companies. But the economy has changed, too. It’s not just the presence of technology. Instead, what has changed is the new things that people are doing as a result of technology. People now have remarkable new capabilities to communicate with one another—both directly and indirectly—and with the organizations that serve their interests. People can share personal messages with friends, groups, and strangers around the world. People can share their opinions of a merchant’s products by posting online reviews. And the organizations serving these people’s needs also can take advantage of these rich communication channels. They can see almost immediately how their products are performing online. What’s selling? What are people saying about them? What features are working? What’s not working? Savvy companies are taking advantage of this new communication capability. They continuously try new things in the market, testing and rapidly adjusting based on what they learn. In the mid-2000s, Spanish retailer Zara became well known for its so-called fast fashion approach, an approach made possible by digital technology. Zara produces as many as ten thousand designs annually, many of which live for a very short time. It produces the designs in small numbers, observes what works, rapidly communicates back to design centers, and adjusts based on what it has learned. Customers may not know that they’re providing feedback, but they’re voting with their wallets, and the company treats that information as its lifeblood. In a more purely digital realm, Google has become the dominant search engine in part because it has leveraged the power of running continuous small experiments to optimize its service. Some experts estimate that Google may run more than thirty thousand experiments a year to improve its search product. If you’ve used Google (and who hasn’t? ), then, in all likelihood, you’ve participated in many of these experiments. You can think of both the Zara story and the Google story as being about the same thing: companies engaging in what we call a two-way conversation with the market. Companies that formerly moved at an annual pace can try new things, learn from their customer interactions, and adjust their plans quickly. In response, customers see new offerings from companies, vote with their wallets, and express their feelings with their reviews, their tweets, their Facebook posts, and their YouTube videos. All this happens incredibly quickly. And the speed and richness of this conversation are putting fundamental pressure on businesses, governments, and other institutions: they must change the way they respond to the market, or go the way of Kodak, Borders, and a long list of others. Often, we fail to make a fundamental reassessment of the way we manage our business as a whole in the era of digital technology. Instead, the standard response within existing organizations has been to create a stand-alone or outsourced information technology (IT) capability. This is a legacy not only of how we think about technology but also of how we think about and structure our organizations, a legacy we inherited from the very successful innovations of the past century: Henry Ford’s assembly line, Taylor’s scientific management principles, and the engineering model of organizations. This legacy of functional segregation in the name of efficiency makes sense in certain contexts, but unfortunately it doesn’t work in the digital reality. The complexity of software systems, the challenge of predicting what the market wants, the pace of change within the market itself— all this stacks the odds against these stand-alone approaches. When Borders outsourced its Internet bookstore to Amazon, it did more than relinquish control of this channel to a competitor. It robbed itself of a crucial opportunity to have a two-way conversation with this emerging customer segment, to engage with this new type of customer behavior, to learn what the customer wanted, and to learn how to serve that customer online. Never mind that Borders didn’t know how to run an e-commerce business in 2001; almost no one did back then. Indeed, you could argue that Amazon barely knew how to do it back then. 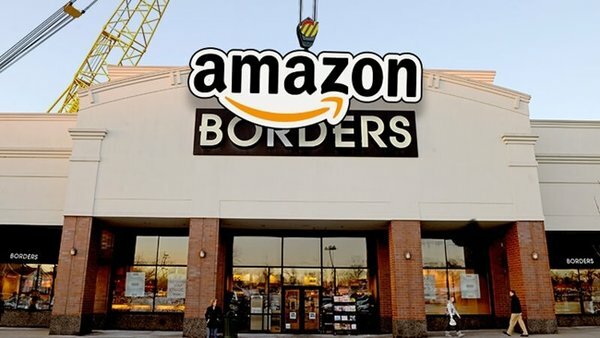 Instead, from 2001 to 2008, Borders gave Amazon an opportunity to learn, on the Borders nickel, and with Borders customers, how to win—and all because it allowed Amazon to sit in the middle of a conversation Borders should have been having directly with its own customers. The new playbook emerging from the technology industry gives us the ability to integrate this two-way conversation deep within the fabric of our organizations. Let’s take a moment to look at this playbook and consider why it relevant to us. The first people to seek out a new playbook were software engineers working in the 1980s and 1990s. A handful of frustrated and thoughtful practitioners looked at the software development process and asked why, at the time, it seemed difficult to create effective software systems. (Looking back on that moment, it’s easy to see why there was so much frustration. A well-known study from that period—The CHAOS Report (1994), by The Standish Group—found that 84 percent of IT projects either failed to deliver any results or were seriously impaired by cost and schedule overruns.) These practitioners concluded that the methods we had been using to make software until that point were based on the wrong model. The software development models that were dominant at the time were based on the time-honored process models of the past century. But they were based on building things like cars and buildings. Things that had concrete and easily understood requirements. Things with stresses and loads and other properties that could be calculated with proven equations. Things that you could figure out in great detail prior to manufacturing, and then create plans that you could hand off to builders. Plans that didn’t change after the assembly process started. Our group of frustrated practitioners realized the key difference in working with software: requirements always seemed to change after the project got started. For years, programmers fought this battle by fighting against requirements changes. But this group took a different approach. They asked, What if we embraced change? What if, for whatever reason, changing requirements are an inevitable part of the software development process, and what if we optimized our process for change? If you’ve been close to the digital technology world, you’ll recognize that question as the seed of what eventually grew into the agile movement. Once a kind of counterculture insurgency, agile is now mainstream and is on its way to becoming the dominant process model for software development. Agile embraces change in a variety of ways, but at its core, it uses two techniques. First, it breaks the work into small batch sizes, and, second, it uses continuous market feedback to guide progress. So unlike an assembly line—where the customer doesn’t see the car until the product is completely through the line—in an agile process, a small unit of software is made and presented to a user, feed back is collected, and, based on that feedback, the team decides what next steps to take. Perhaps the team continues as planned. Perhaps the team adjusts its priorities. Perhaps the team designs something new. The ability to create a continuous feedback cycle is the most important thing we gain as our economy moves from the manufacture of hard goods to the production of software and the delivery of services built on top of software. This feedback loop allows us to build learning into our daily operating rhythm. The implications of this change in process are profound. Now teams are not working strictly to a preset plan. Instead, they use the feedback loop to learn their way forward. They can’t promise that they’ll produce a Model T at a specific time. Instead, they decide what to build as they are in the process of building it. When you look at the methods that have been developed in the past twenty-five years in the software world, you’ll see that many of the most influential ideas share the agile concept of a continuous feedback loop—this notion of a continuous conversation with the market—whether it’s designers bringing the ideas of user-centered design, design thinking, and lean UX, entrepreneurs like Eric Ries and Steve Blank bringing lean startup and customer development, or technologists bringing lean and agile methods and DevOps practices. More than that, though, we’ve seen the way these new methods for engaging the market have led to new leadership approaches. We’ve watched and participated in the development of these methods, and we’re excited to report on them to you. We’ve seen an entire industry form and a body of knowledge start to collect about working in ways that create a two-way conversation with the market, and we’re excited to share what we’ve learned with you. As you’ll see, we believe these methods apply far beyond technology’s borders. We’ve named our book Sense and Respond because we like the way this phrase describes the basic mechanism, the feedback loop, at the center of this approach. The most important themes that underpin the sense and respond approach can be found in these five key principles. 1. Create Two-Way Conversations. Digital technology has given us the new ability to have two-way conversations with our markets and our customers. What does the market want? And by market here, we mean people. (When we talk about being user centered, customer centered, and human centered, we’re referring to this idea.) Understanding the unexpressed and unmet needs of the people who are using our products, services, and technology is the key to unlocking value. In this ability is the key to success in the digital age: we don’t have to predict what will work. Instead, we can listen, make a credible guess, get feedback in nearly real time, and adjust. 2. Focus On The Outcomes. In the digital age, it’s difficult, and sometimes impossible, to predict which product features are needed in the market. Yet often, we plan our features and manage our business cycles as if we know exactly what’s going to work. We manage by specifying outputs—what we’ll make. Instead, we need to focus on outcomes: management needs to declare the business outcomes they wish to achieve and then set up their teams to figure out how to get there. This means that we have to create the conditions in which teams can try different approaches, experiment, learn, and discover what works through trial and error. 3. Embrace Continuous Change And Continuous Processes. Modern digital development practices allow teams to make small changes in an ongoing way. This allows them to make the adjustments they need to make when they’re using a sense and respond approach. But it also changes how we plan, because we’re continuously learning and adjusting our plans as we go. And it changes how we budget, because we can no longer afford to make commitments a year in advance when we’re learning every day. And it changes how we market, and sell, and . . . so much more. We have to move away from big-batch manufacturing processes and adopt small-batch, continuous processes. 4. Create Collaboration. All great digital efforts are collaborations— between a creator and the audience. Between developers and operations people. Between designers and business stakeholders. You need to embrace collaboration deeply and break down walls where you find them. This means that we need to consider how we organize our teams, our departments, our programs, and our initiatives. 5. Create A Learning Culture. 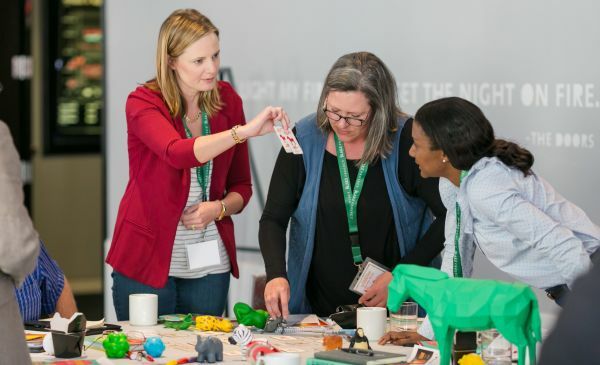 Sense and respond means embracing a way of working that is about continuous learning, which requires significant changes to process and organizational structures. This need to change, in turn, means we must build a learning culture, and that requires openness, humility, and permission to fail. It means supporting curiosity and collaboration. It means having a willingness to admit we don’t really know the answer and an eagerness to go find it. Finally, it means embracing change and embracing the idea that software is a continuous, mutable medium. Contributed to Branding Strategy Insider by: Jeff Gothelf and Josh Seiden, excerpted from their book Sense & Respond: How Successful Organizations Listen to Customers and New Create Products Continuously. Shared with permission of Harvard Business Review Press.